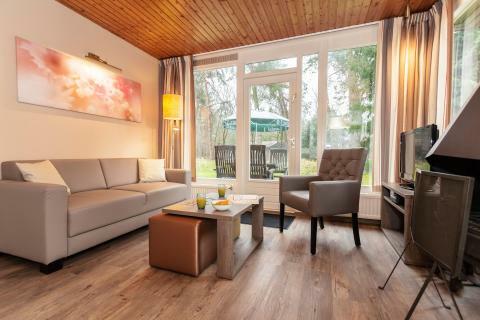 Landal Coldenhove in Eerbeek - the best offers! Maximum 2 pets per accommodation (upon request). Surcharges apply. 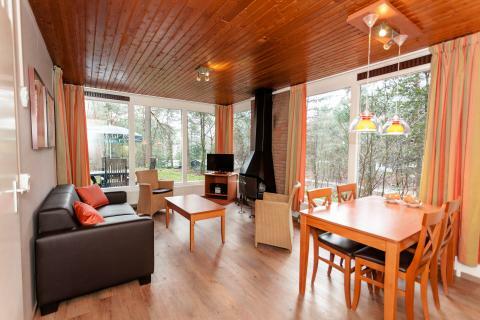 Landal Coldenhove is surrounded by the rich pine and deciduous forests of the Veluwe. You can expect to see squirrels, rabbits and wild animals prowling through the woods. Take a dip in the pool at the park and surprise the kids with a trip to Burgers' Zoo in Arnhem. 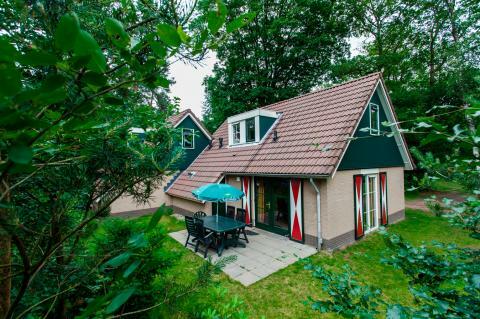 There is plenty of fun to be had by all ages at Landal Coldenhove. The park has various facilities for active people, including a trampoline, bouncy castle, table tennis, mini golf and a basketball and volleyball court. You can also go climbing on the climbing wall or take a lesson in archery! There is a swimming pool with a separate children’s pool and various water attractions. You can also make use of the tanning beds. Throughout the year, there is an entertainment programme for all ages. Children will have a fantastic time in the pool or in the large indoor playground. The play forest is equipped with climbing walls and a mini scooter track. For the little ones, there is the Bollo Club and plenty of playground equipment, including sand pits. During the school holidays, there are even more activities organised for the children. For a delicious dinner, visit Brasserie Timbers. You can also grab a bite from the snack bar. 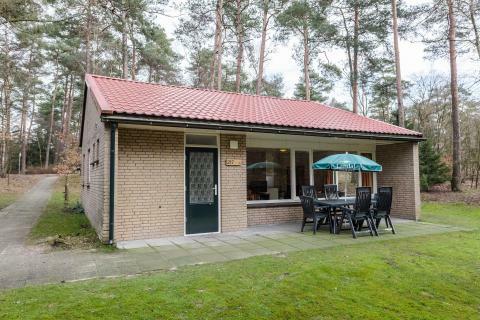 Landal Coldenhove is situated between Arnhem and Apeldoorn in the eastern Veluwe. A wonderful area for lovers of the great outdoors, especially hikers and cyclists! The area boasts an extensive network of beautiful and diverse routes. There are also many opportunities for day trips in the area. 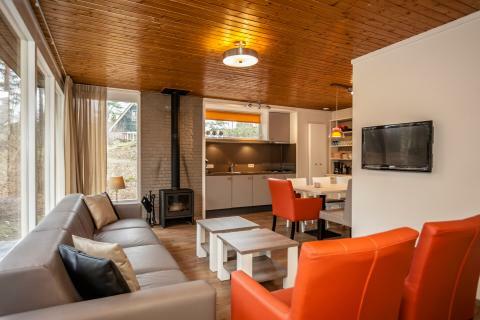 You can visit the famous Kröller-Müller Museum in National Park De Hoge Veluwe or the Apenheul primate park in Apeldoorn. The Loenen waterfalls are spectacular to see.